Hi, I’m Stephanie. Contrary to popular belief, my name is not Ami, though I completely understand why people would think that given my blog name! 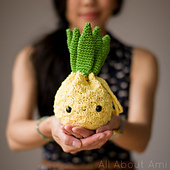 “Ami”, pronounced ‘ah-mee’, is actually short for amigurumi, the Japanese art of knitted/crocheted stuffed animals. I discovered the beauty and joy of amigurumi after grad school and after getting married, although technically I started making amigurumi since I was 10 years old (see my first blog post). 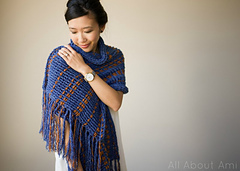 I’ve been crafting ever since I was a little girl, from making friendship bracelets and doing beadwork, to knitting and crocheting afghans and clothes for my teddy bears. My loving husband Ryan fully supports me in my new hobby and even helps me assemble and put the finishing touches on my amigurumi! 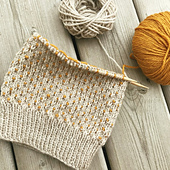 I work through patterns I have found on-line and in amigurumi books, showing step-by-step pictures of the process along the way. I also design my own original creations and post my patterns for free. I have been blessed to have my work featured in CRAFT, Craftgawker, Crochet Pattern Central, Angry Asian Man, and to have been interviewed by Shopaholic. My blog is an outlet for me to express my creativity and love of crafts, as well as a journal and portfolio of my work! I feel very strongly about using your God-given skills and passions to help and love those in your life and around the world. I love to hear that I have inspired others to take up crocheting or to pick up their crochet hooks once again to make these kawaii stuffies or other crocheted pieces, like cup cozies, cell phone cozies, beanies and scarves! I also write about my other interests, such as baking and traveling, as well. Journey with me as I blog about these adorable Japanese knitted/crocheted friends, mes amis.